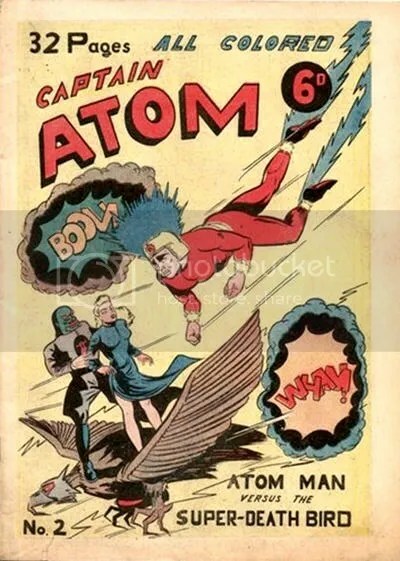 Before Crisis on Infinite Earths, before the Captain Atom Project, waaaaaay before the New 52, there was another Captain Atom. 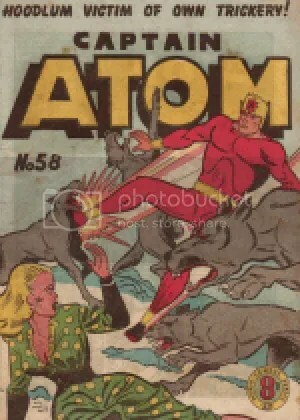 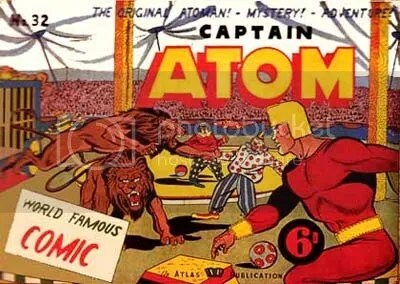 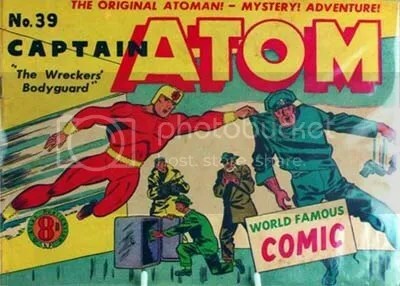 Appearing in seven issues from 1950 to 1951 (published by Nation-wide Publishers), Captain Atom was a scientist-adventurer who used gadgets to investigate the unknown and fight various menaces. 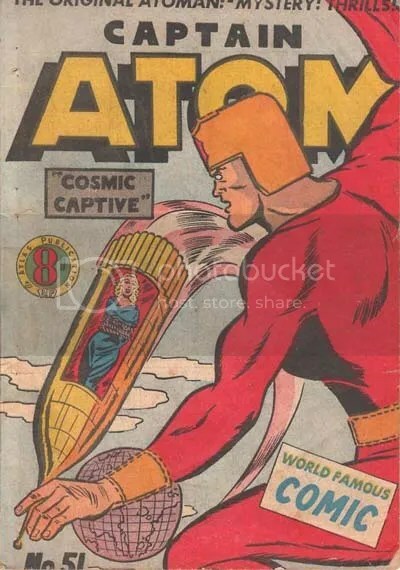 His gadgets and vehicles included a uranium amplifier, a spectrascope, an atom submarine, a walkie-talkie television, atom powered noiseless ram rocket, and an auto-gyro parachute. 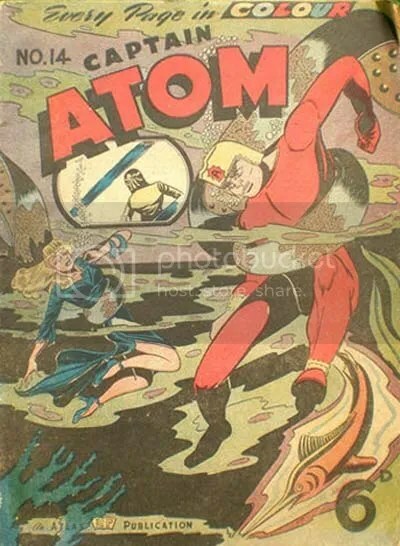 The stories he appeared in were written to teach kids lessons about science. 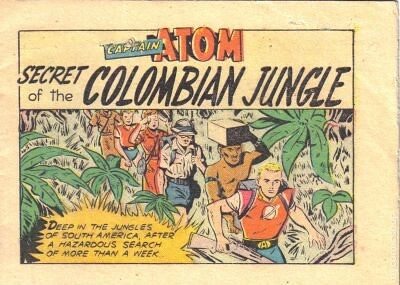 Although the Nation-wide Captain Atom was not considered a success, it did spawn a one-shot comic entitled Captain Atom: Secret of the Colombian Jungle. 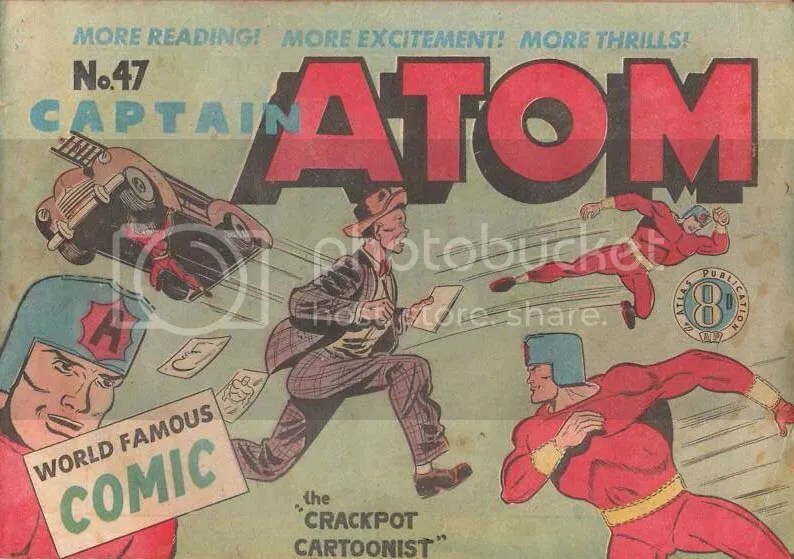 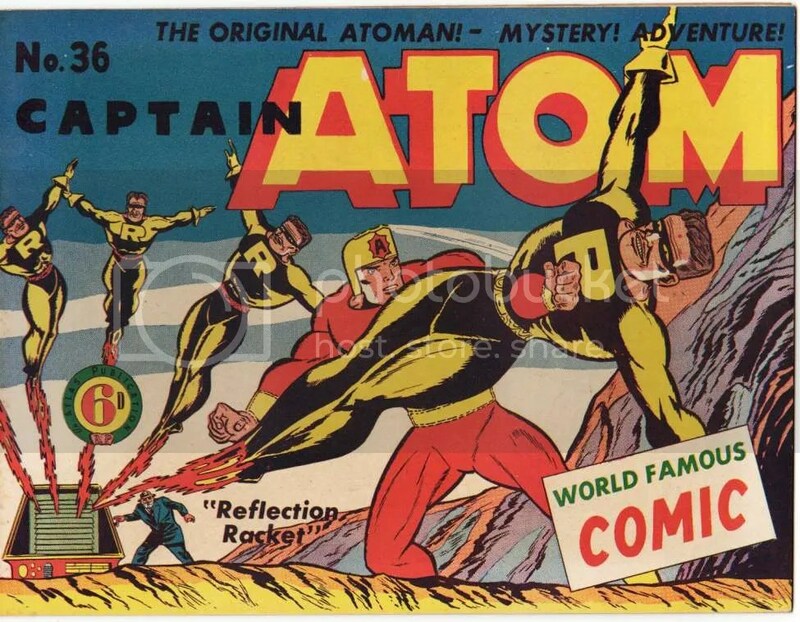 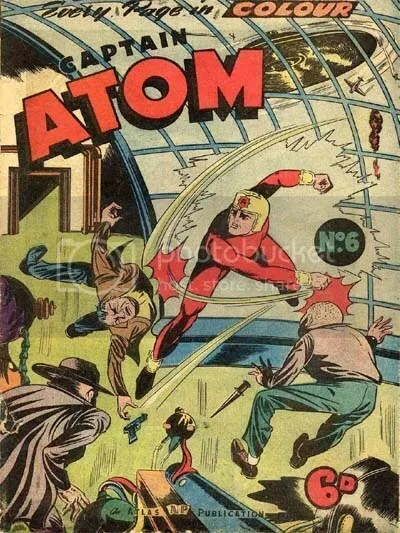 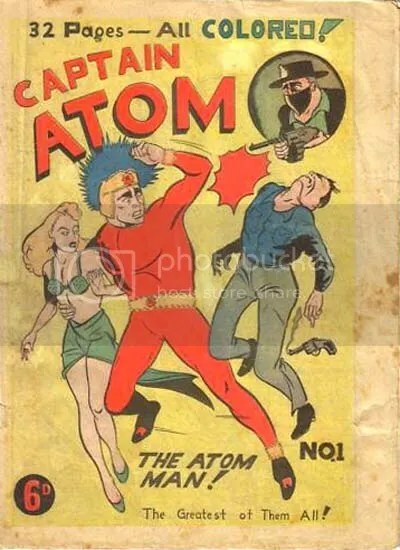 Believe it or not, there was another Golden Age Captain Atom that predated the Nationwide version by two years. 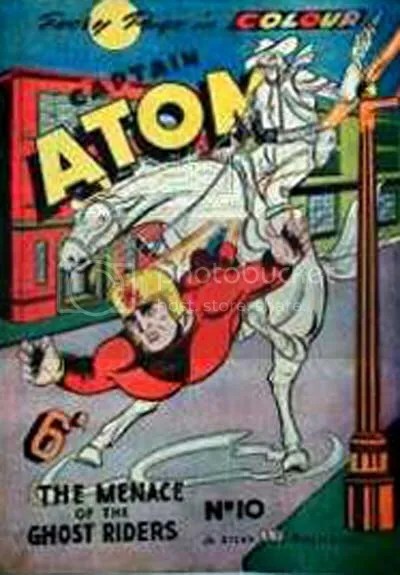 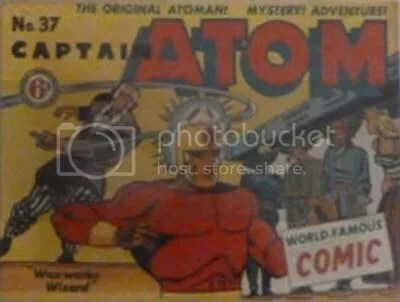 I could find very little info on the first Golden Age Captain Atom. 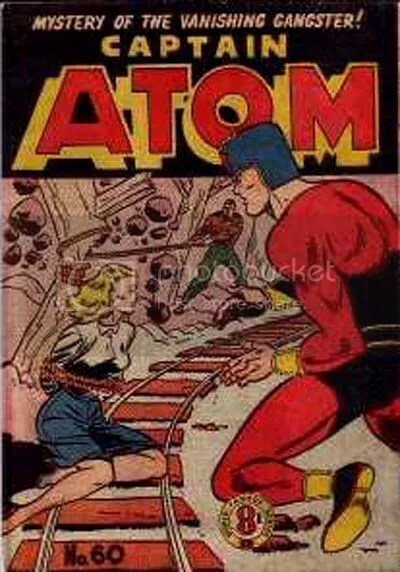 Printed by the Australian publisher Atlas Comics, it ran 64 issues from 1948 – 1954. 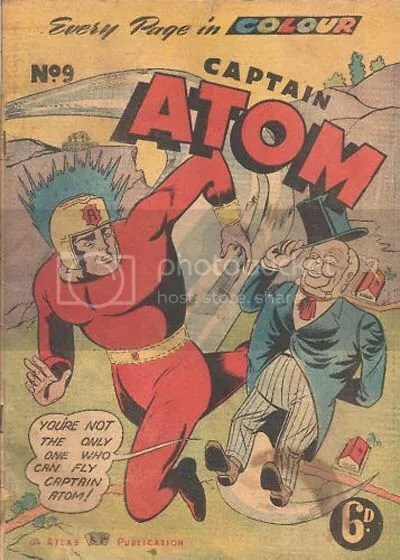 The character appeared to be an actual super-hero with at least the power of flight, shooting purple lightning out of his feet wherever he flew, and superhuman strength. 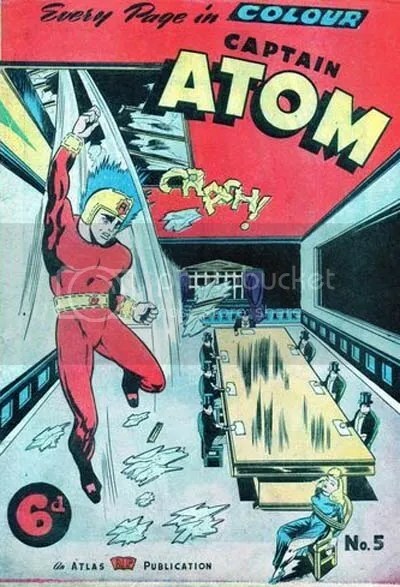 He obtained his powers after an A-Bomb test fused two twin brothers together. 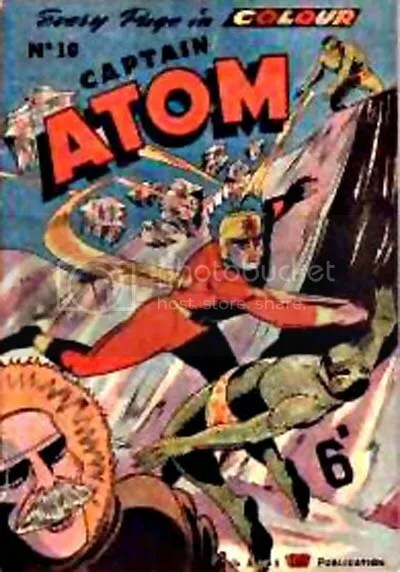 Dr. Bikini Rador only had to utter the word “Exenor” to change places with his twin (more powerful) brother. 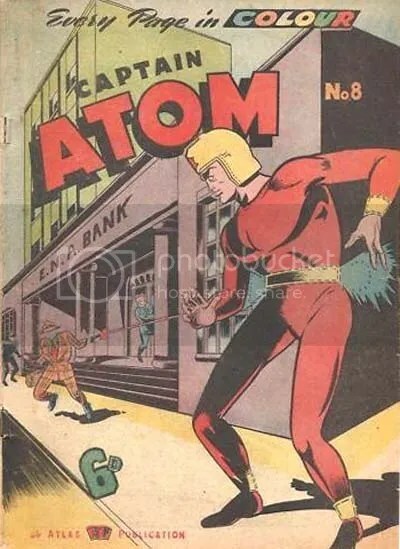 He was also referred to as Atom Man. 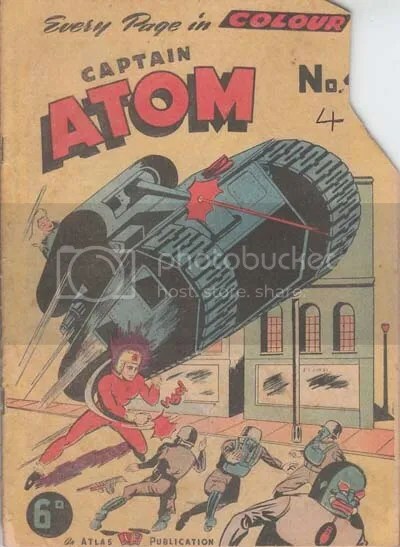 Early issues (1-16) were in color but eventually it became a black-and-white comic. 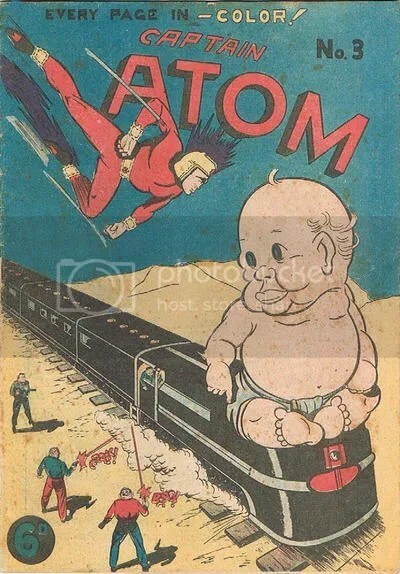 Not many images of this series could be found on my internet search.